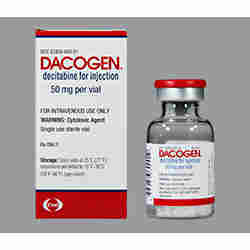 We sell Dacogen from Johnson & Johnson at best prices and we also have Decitabine at very good discounted prices in Caddiline Exports Pvt.Ltd at Nagpur or other Indian Regions as well as outside India to any other Countries of the world. 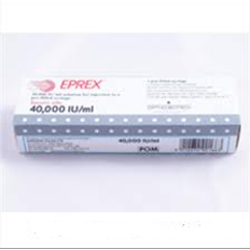 We sell Eprex from Johnson & Johnson at best prices and we also have Epoetin Alfa at very good discounted prices in Caddiline Exports Pvt.Ltd at Nagpur or other Indian Regions as well as outside India to any other Countries of the world. 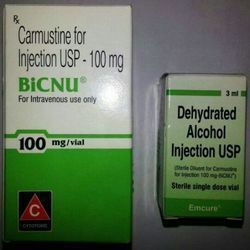 We sell Consium from Emcure at best prices and we also have at very good discounted prices in Caddiline Exports Pvt.Ltd at Nagpur or other Indian Regions as well as outside India to any other Countries of the world. 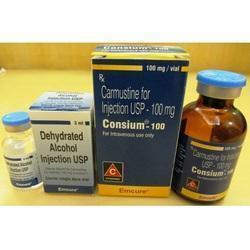 The Consium Carmustine 100mg Injection we provide our customers are some of the finest in the industry. Procured from premium brands these products are reliable and effective. Their easy administration, low post medical care, fast & lasting results and higher compatibility are some outstanding qualities appreciated by customers. We ensure the quality of our products through rigorous quality assurance measures undertaken in our facility. All our products are packaged efficiently in tamperproof and tough packaging to ensure their safety during storage and delivery. We sell crizotinib from Phzer at best prices and we also have at very good discounted prices in Caddiline Exports Pvt.Ltd at Nagpur or other Indian Regions as well as outside India to any other Countries of the world. Catering to the plethora of needs of our diverse client base we are prominent providers of highly effective Crizalk Crizotinib 250mg Capsules. Each hard uncoated capsule contains 250 mg Crizotinib and is manufactured using industry approved measures. Skilled quality controllers use innovative testing techniques and measures to ensure all the products to be of the finest possible quality. Customers can avail these products form us at competitive prices to meet the needs of our diverse client base. We sell Tasigna from Novartis at best prices and we also have at very good discounted prices in Caddiline Exports Pvt.Ltd at Nagpur or other Indian Regions as well as outside India to any other Countries of the world.We can supply Tasigna Capsules containing 150mg or 200mg Nilotinib. We can supply all types of branded and generic pharmaceutical products from India We are Looking Queries from Foreign Countries & Exports Only. 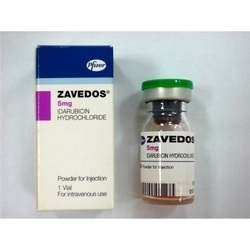 We sell Zovedos from Phzer at best prices and we also have at very good discounted prices in Caddiline Exports Pvt.Ltd at Nagpur or other Indian Regions as well as outside India to any other Countries of the world. We sell Atgam from Phzer at best prices and we also have at very good discounted prices in Caddiline Exports Pvt.Ltd at Nagpur or other Indian Regions as well as outside India to any other Countries of the world. We can supply Atgam Sterile solution of Pfizer. 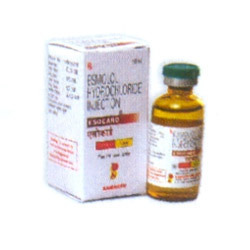 This injection is available in pack of 5 ampoules. 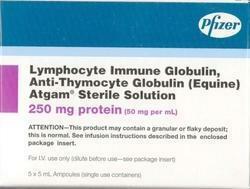 Generic name: Anti-thymocyte globulin (Equine), Lymphocyte immune globulin. We can supply all types of branded and generic pharmaceutical products from India. 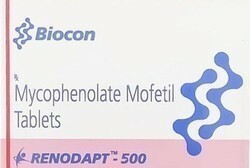 We sell Renodapt from Boicon at best prices and we also have at very good discounted prices in Caddiline Exports Pvt.Ltd at Nagpur or other Indian Regions as well as outside India to any other Countries of the world. We sell Bondria from Cipla at best prices and we also have at very good discounted prices in Caddiline Exports Pvt.Ltd at Nagpur or other Indian Regions as well as outside India to any other Countries of the world. Looking for Cancer Medicines ?